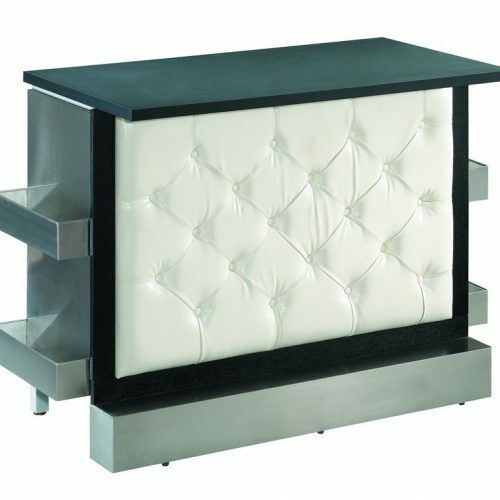 This bar is made of a solid wood veneer shell, a solid metal chrome plated base and a scratch resistant black wood top. 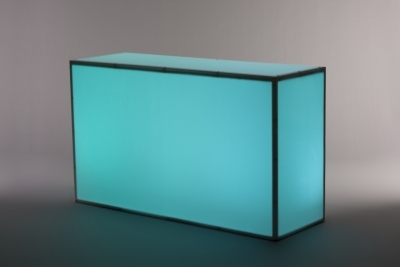 The front side is made out of two frosted glass panels that is interchangeable – with a choice between frosted glass and colored leather panels, the possibilities are endless. 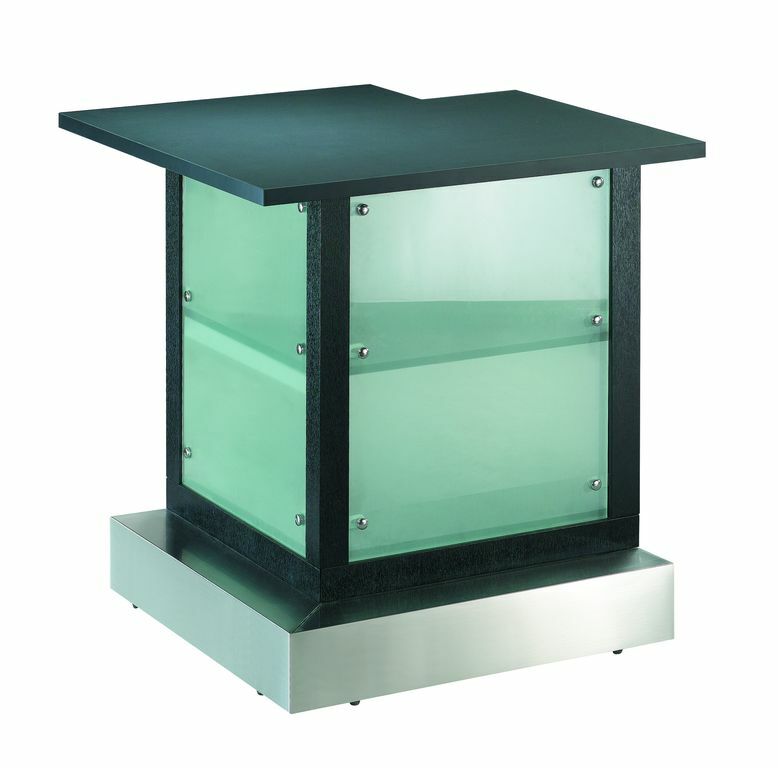 Comes with two shelves at rear of the unit and can be combined with the Frosted Glass Bar and additional corners to create a larger configuration. 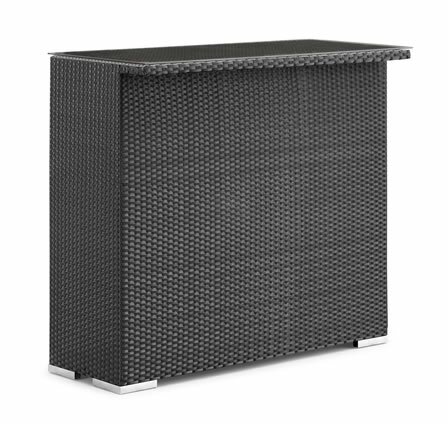 L 36" x W 36" x H 39.5"